This article was first published in L'Osservatore Romano, no. 21, on Wednesday, May 23, pg. 9. It is written by Salt + Light's very own Sebastian Gomes. Click here to see all his blog posts. In referring to this contemporary attitude of skepticism, of which we are compelled to take note and respectfully challenge, we catch a glimpse of the enduring intellectual influence of the Enlightenment. It has been some three hundred years since that wave of scientific reason swept through Western Europe, and the impression it has left on questions of historic reliability is evident. For their part Christians have responded effectively, by picking up the tools of biblical criticism and the social sciences - the very fruits of Enlightenment thinking - and applying them to the New Testament period. And we have seen the positive results of that endeavor which, if anything, has greatly increased our knowledge of the roots of Christianity and solidified the grounds for belief in the resurrection. Here we are obligated to draw some of the clear parallels between the post-apostolic era and our own. 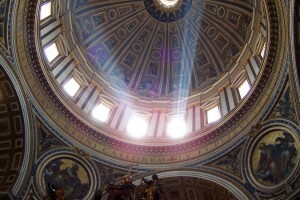 In true Catholic fashion we seek to shed light on the matter by tapping into the vast reservoir of the past, history, "that great teacher of life," as John XXIII referred to it at the opening of the Second Vatican Council. It seems that in our journey through two millennia we have come full circle, and we find ourselves standing side-by-side with the early Church, staring into a somewhat alien world in which the good news is either unknown or misunderstood. Like our ancient brothers and sisters we are a community on the margins of a global society. And like them, the joyous experience of the resurrection on Easter morning prompts us to ask, "What are we going to do about it?" Let us take a further step back for a moment and look at the era of the Apostles themselves. The defining characteristic of that first generation of Christians was simply that they were a community entirely hinged on the Easter event. 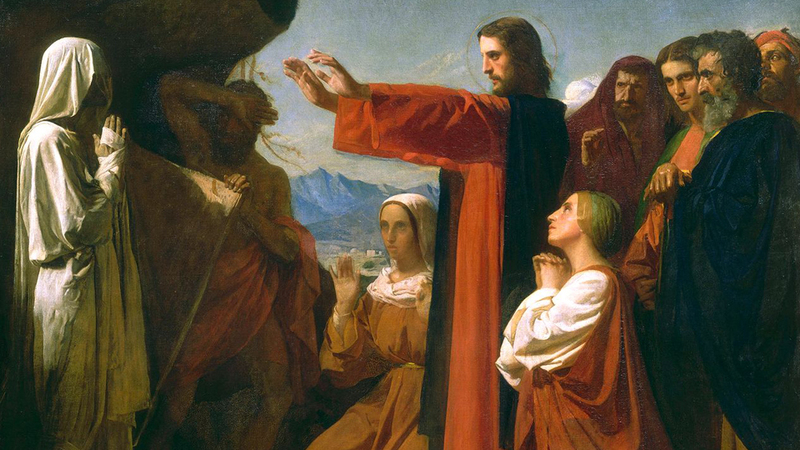 As we have pointed out, their faith was a direct result of their common witness to the resurrection appearances (Mk 16:20; Lk 24:52-53; 1 Cor 15:5-8). With this faith, the Apostles together with Paul and countless others proceeded to proclaim the good news with incomparable zeal and with the sure expectation of the Lord's imminent return. But as the years went by and the eyewitnesses passed away or were martyred, the Church was forced to consider the long-term sustainability of its mission, that is, to shape a new identity. Or will we retreat from this world? Will we disengage and isolate ourselves? Will we build walls and burn bridges so that its dirtiness cannot infect our community? Will we rigidly condemn it, and at last wash our hands of it? Now it should be pointed out that it was precisely this latter position that the early Church rejected. We know this because we know there were groups of Christians advocating it, and that the early Church was unable to reconcile a Christian theology which isolated itself from worldly structures and considered salvation a matter of individual enlightenment or moral purity. Such groups, incapable as they are of seeing beyond the limits of their own ideologies, are destined to fail, as history has shown time and again. But the Church of the first centuries knew better; it knew that to be narrow-minded in thought and exclusivist in practice was neither Christian nor catholic, and that the truth of Christ had to be shared openly in love and hope with a world worthy of God's compassion and mercy. This is how our ancient brothers and sisters responded to the "signs of the times:" (Matt 16:3) they took action. Early apologists like Justin Martyr and Clement of Alexandria dedicated their lives to articulating the Christian truth in light of the cultural milieu, and did so by recognizing traces of that truth in the great pagan philosophies. Others like Bishop Ignatius of Antioch preached the gospel of the Lord courageously and joyfully with their lives and in the face of tremendous opposition. And even on his journey to martyrdom in the Roman Colosseum, St. Ignatius never let go of the Lord's call to "love your enemies," (Matt 5:44) as is evident from his interaction with the soldiers "who only get worse the better you treat them." We have seen how recent events in the life of the Church can spark such a renewed spirit among the faithful. 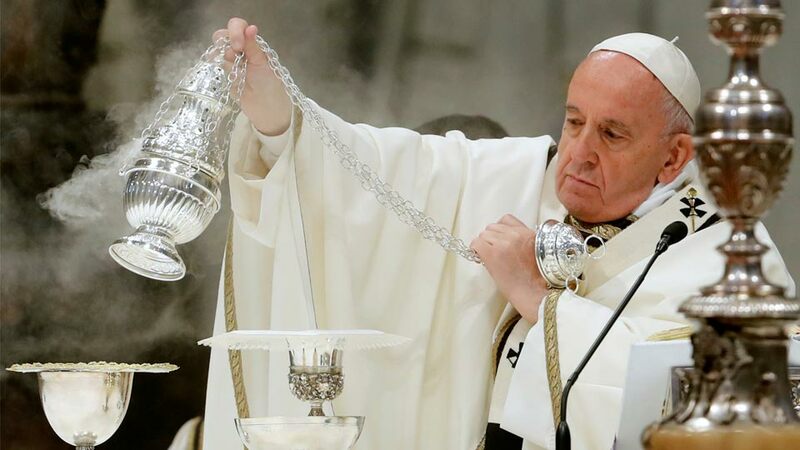 The Holy Father's call to a Year of Faith and the joyous celebration of Easter are two such examples, and together they illuminate the path we seek. The latter is of course the enduring testament of our faith, the fulfillment of our human longing for God. And the former is nothing less than the timely and practical guidance needed to find ways of sharing that joy of salvation with our world. 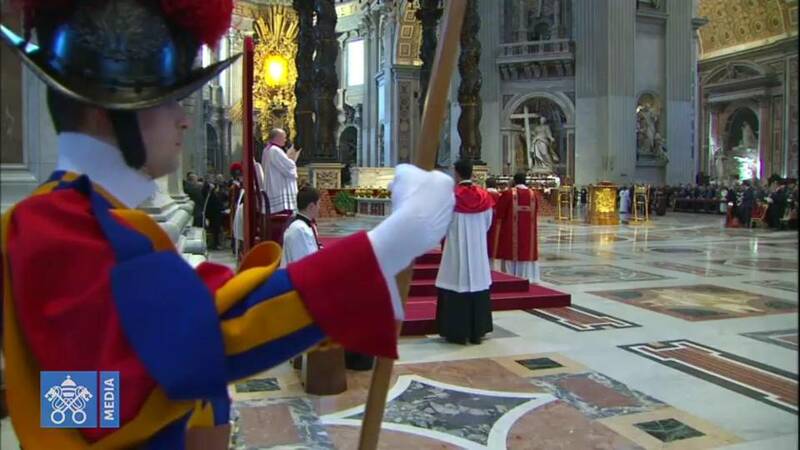 There is a thread running through the Holy Father's apostolic letter for the indiction of the Year of Faith, which begins fittingly on the fiftieth anniversary of the opening of the Second Vatican Council this coming fall. And it is precisely the thread running through this treatise: that the time has come for the Church to rediscover an old practice, to break out of itself and break into the world. 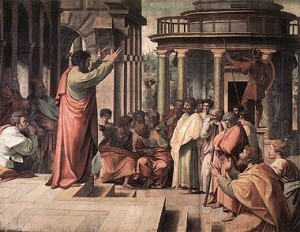 That was the mindset of the early Church; that was the mindset of Justin, Clement and Ignatius; that was the mindset of Paul and Barnabas for example, when they confronted the teachers at the Council of Jerusalem who insisted on a rigorous and legalistic implementation of the Mosaic law that would essentially ostracize the Gentile converts. (Acts 15) How profoundly telling it is that the Council decided against this legalistic approach and opened the doors of the Church to all those who turn to God. 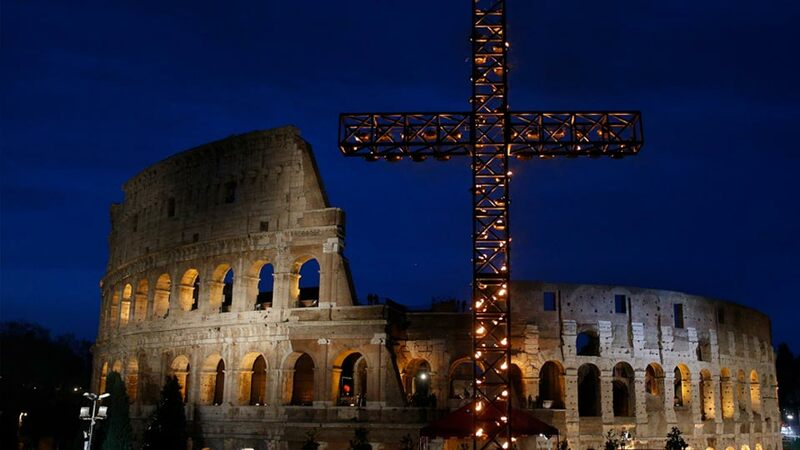 In fervent expectation of the coming Year of Faith and the anniversary of Vatican II, and filled with Easter joy, I offer one final insight in response to our initial question concerning the resurrection of our Lord: "What are we going to do about it?" In the Dogmatic Constitution on the Church (Lumen Gentium) we are presented with a notion of "church" which, though faithful to the tradition, has yet to be fully realized in our time. And while the text paints a marvelous picture of the Church's foundation, structure and mission, it is on the structure of the document itself I wish to comment. When the world looks at the Catholic Church it sees a hierarchy; it sees the pope, the bishops and the priests firstly, and then the Catholic faithful only as an afterthought. When the Council Fathers looked at the Church, they also saw a hierarchy, only rearranged in a manner which makes all the difference. In their articulation, Christ is the head and the “People of God” are the body. The structure of the document bears witness to this vital teaching. The Catholic Church, with Christ at its head (L.G. Chapter 1), is first and foremost the People of God, that is, the community of all the baptized (L.G. Chapter 2), and then it is broken down into distinct hierarchical roles (L.G. Chapter 3). It may seem like an inconsequential modification – it isn't. The truth is that this renewed understanding of “Church” came as a complete shock. 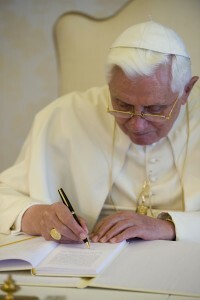 But it was also a tremendous gift, and when I reflect on it and the other texts of Vatican II I find myself compelled, by gratitude and a renewed sense of mission, to heed the call of the Council Fathers and stand with our bishops as one holy, catholic and apostolic Church, ever ready to break out into the world and plant the seeds of the gospel.